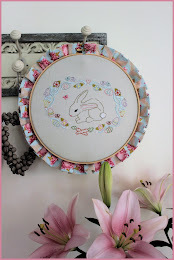 Sew Useful Designs: A guest spot and a giveaway! You can find me over here today, chatting a bit about my creative journey! But first – tell me - were your ears just burning? If yes – that might just be because I’ve been telling everyone how wonderful you are!!! I’m having a little giveaway and everyone is welcome to enter. All you need to do is sign up to be a follower of my blog, or subscribe to my posts via email or RSS feed – then let me know that you have done so in your blog comment. If you already follow my blog, please join in the fun too! Just leave me a comment – I’m sure I’ll recognise you! I’m giving away this gorgeous book by Pam and Nicky Lintott. I thought it might give some great ideas for using up that ‘stash’!! I love this fabric range by Urban Chicks – hope you do too?! Please leave one comment per person, only – to make it easier for me to use the random generator! The second of any mistake entries will be politely deleted to keep it all fair. I will draw the winner next week on Thursday 14th July at 8pm Melbourne time. THIS GIVEAWAY IS NOW CLOSED – WINNER ANNOUNCED SOON! Gee I get to be #1, that's a thrill but I think I will jinks myself on the draw. Anyway I love your blog Vikki and I have joined as a follower. I have had my eye on that book for some time. My first visit here, but sure not the last :-). I have signed up as follower. Wauh, what a great studio you have! And whatr a generous give away. I too would love to be the lucky winner. So happy I found your site.I am following you now.Thanks for chance to win fun prizes. I'm a follower now too. What a lovely giveaway. Whoever wins this will be a lucky person! Hi Vikki. I've just come over from Stash Manicure. Thanks for sharing your story with us. And thank you for the great giveaway. I'm now one of your followers. 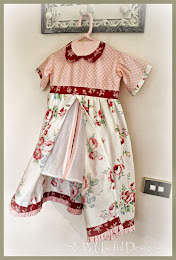 What a lovely blog and loveley give away!! Put me on the draw! Thanks! I'm a new follower too - so great to have found you. What a fab giveaway - thanks for the chance to win. Good morning Vikki. I'm getting lost in your great blog, thank you! I love your creative space and how you have organized it. The calendar/mouse pad is a fabulous idea! Thanks so much for sharing your enthusiasm, experience and expertise. I've read about your journey on Stash Manicure. I love to hear about the path people take on their journey through this life! I've signed up to read your posts via email.Thank you for the opportunity for a fantastic give-away! Good luck to all!! Thank you for your post today at Samm's. Your tut on stuffing is one of my most cherished and useful saves - thank you for that ! Yeah, I love a good giveaway as you know. I hope I am lucky again this time. How wonderful to find your blog! I'm inspired by your story on Stash - perhaps I can follow in your steps! I love Hullabaloo, and thank you so much for the chance to win! Just dropping in for virtual tea from Madame Samm's. I'm a new follower. Thanks for the giveaway! I am a new follower to your wonderful blog! Hi. Thanks for sharing your story. I love hearing how everyone got hooked on their passions. Thanks for the chance to win. I have been a follower since my first mug hug swap. You were the first person that I swapped with when I started my Blogging adventure. Thank you for hosting such a generous giveaway. I am now a follower. So glad I found you. You have a wonderful blog. Great giveaway too! I'm a new follower! Enjoyed your post! I came to visit and now I'm following. Your blog sounds very interesting and I look forward to being inspired. Thanks for your guest post on Stash Manicure. I would love this book and fabric- of course. This looks like a great book with lots of ideas to use up my 'ever growing' stash. I'm really trying to work on eliminating some of it, but more and more fabric keeps jumping in my cart and begging to go home with me. This could be the inspiration I'm looking for! Thank you so much for sharing with us today. 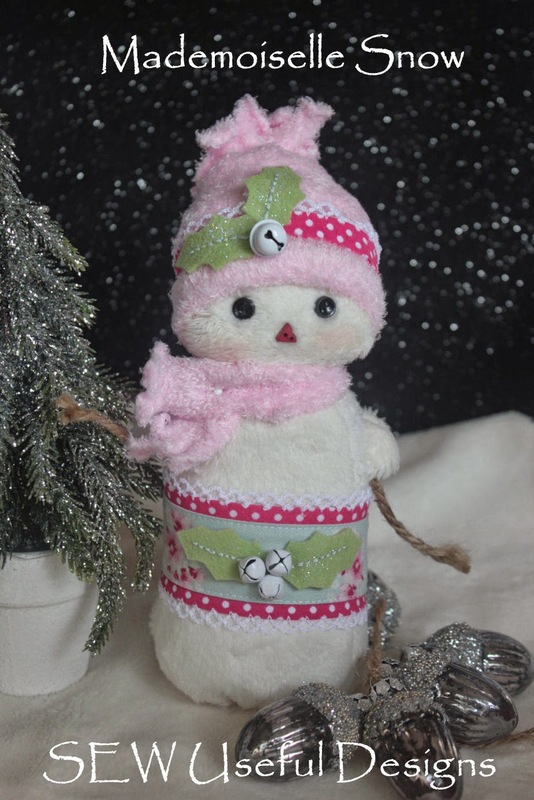 Can't imagine making dolls without a sewing machine. I made them years ago but had a machine. Hola Vikki, soy tu seguidora hace tiempo, leí tu historia y me gustó mucho, yo también siempre trabajé con mis manos y hace un tiempo encontré el patchwork. Aqué en Argentina se conoce poco y no hay tiendas todavia, imagino tus sentimientos al llegar a Australia!!! Gracias por permitirnos participar en tu sorteo, claro que me anoto!! Un abrazo! This looks a great book and I love the Hullabaloo range! I am now a follower of yours,via Stash Manicure. I like the way you have organized your room. I have a bedroom upstairs in our old house, but if I organize it, one of the kids will move home again. Happens to me every time. Love, love, LOVE your blog! Thanks for the giveaway. I have been a follower for a long time now as I love your work and enjoy reading your blog . Thanks for the chance on this great giveaway ! Lovely interview with Madame Samm. And please enter me in the giveaway drawing for the book and the fabric. I'm fairly new to quilting, and have an almost nonexistent stash, so winning this would be great! Thanks again. 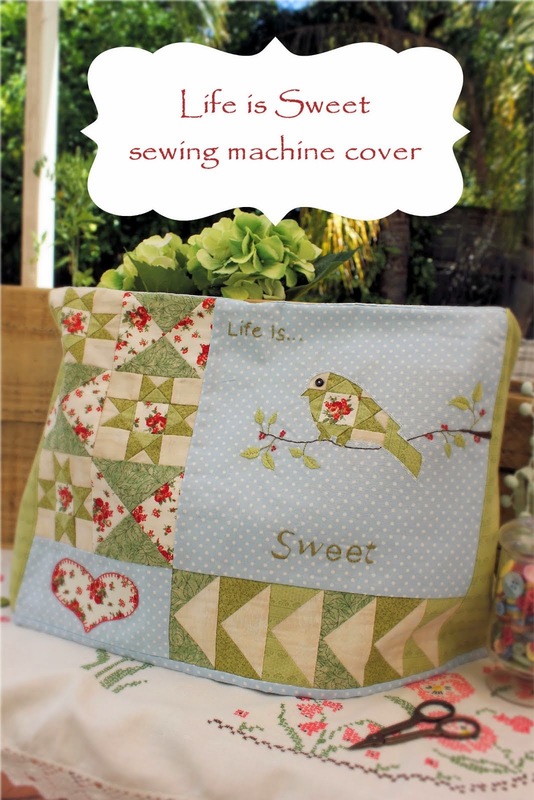 I love the quilt on the cover. I've enjoyed browsing through your posts. You've inspired me to go and organize my studio. I've just found your blog through Stash Manicure and now I'm a follower. It was lovely reading your story of how you got started. And I love the hearts in your banner. So pretty. Thanks for the generous giveaway. The book looks very interesting and one can never have too many charm squares. I have been a follower for a while; great job over at Stash manicure. Wow, I love the quilt in the cover.I`m a follower.Thanks for the giveaway!! I am following your blog - love the tea cups. Love your Christmas Robins - continued success on your journey! What a great giveaway! I've never met a quilt book that I didn't like, and this one has been on my list. thanks for the chance. I am now a follower. I discovered you on Stash Manicure. You are now one of my favourites! Great Giveaway! I've been wanting that book! Love your site! I love jelly roll quilts! what a wonderful and delightful story you have about how you came to the "art." thank you so much for sharing (and thanks to madame samm for asking you to share) i look forward to reading through your blogs and to seeing what you create! have a great day! Saw you over at stash manicure. I am a follower and have been reading your blog since i first found it a while ago. Enjoy it very much. I enjoyed looking around your blog and have signed up to follow you by email. How fun, love the story, the material & book would look fantastic at my house. I'm a long time follower. You make some great projects. You have great talent, I wish I had some of your designer talent. I am now a follower and loce yor blog. I had tears when I saw the post and photos of the teacups. My mother in law always used to have me choose teacups when I visited her for tea. She had quite a collection and started me on a collection as well. When she passed away several years ago the one thing I wanted was her favorite china teacup cup. I think of her so often. Thanks for the lovely memories. OOOOO, nice giveaway! What a great book. Hope I'm lucky. I'm a new follower and have been exploring some of your site. Well done! Hi Vikki, I read your post on Stash Manicure this morning. Thanks for giving us a little insight into your life. I don't know how long I have been a follower now but it's been a couple of years anyway. Thanks for the chance to win your giveaway. I luv your success story and am so happy to find another awesome Aussie blog to follow. I came over from Sew We Quilt. Great giveaway....thanks for the chance to win....keeping my fingers crossed!! I just found your site and I love it and now follow it. Here's to hoping I can win. I am a follower and love your blog. thanks for the sharing your story on SM. What a lovely giveaway - you are so sweet! thanks! It was great to read some more of your journey over at Stash Manicure. What a fabulous giveaway you have too. Thanks for the opportunity to enter. I am now an email subscriber. Fan4may at aol dot com. 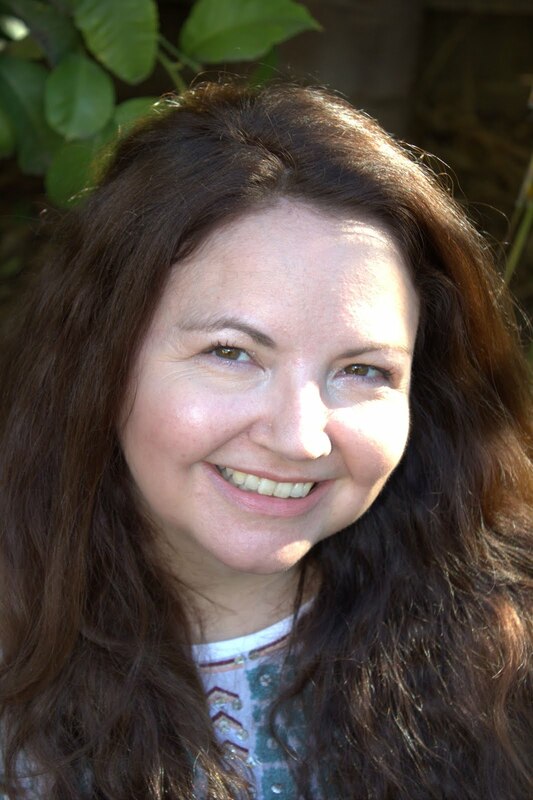 Lovely guest post Vikki - so you and gorgeous as ever. I am a follower. Thanks for a lovely giveaway. Count me in please Vikki! I always love reading what you are up to. The book looks terrific and fabric can never go astray! I'm a new follower and very happy to have found your blog! Hi! I just signed up to get your blog by email. I can't wait!!! The giveaway is fantastic! Thanks for the chance to win. Thanks for the chance to win a great stash busting book. I follow you through your emails. Enjoyed reading your guest post Vikki! I have been a long time subscriber to your blog - there is always plenty of inspiration to be had over here. I'm a follower. I'd love to win the book and fabric. Thanks for the giveaway. Love all the tea cups, they are so beautiful. I have signed up on your blog and email. Looking forward to future posts. Well I have to be in this one Vikki, fingers crossed.. I'm now a follower through email. Thanks for the giveaway. Just popped over from Sew We Quilt@Stash Manicure. I am now a follower of your blog too. I can tell I'm going to love it! 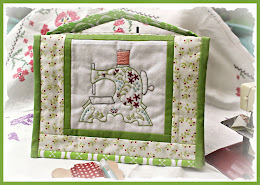 Vikki, I just read your post at Stash Manicure/Sew We Quilt. Thank you for sharing your story. I have just signed up as a follower of yours. Glad I found you. I love your "repurposed" quilting room. I'm a new follower and came over from Madame Samm's blog. I like your site. Thanks for the giveaway, great book and fabric. I've subscribed to your blog emails, I don't "do" Facebook. I really enjoyed your beautiful tea cups! Just popped over from Stash Manicure and really enjoyed your story. I'm now a new follower. Thanks for the lovely give-away. hi vikki! i am a new follower and a new email subscriber! thank you for hosting such a wonderful give-away treat! your blog is delightful and i just love the teacups! many thanks! Thanks for the chance to win this interesting book & some charms. Since you have been so "charming" I will now follow your blog! Great give-away, sweetie! I'm popping over to see your guest post! I just became a follower due to seeing your post on Stash Manicure. What a wonderful giveaway, thank you, thank you!!! I loved reading your post. Hi, Vikki!!! That book look great! I'm a follower. Thanks for give us chance to win both gifts! Hi Vikki, I came over from Samm's after reading your wonderful post. I've signed up to follow your blog. Thank you. Ooh! What a great giveaway Vikki!! I have been eyeing off that book for a while, and I Love that fabric line! I subscribe in GReader, but will make sure I'm clicked to follow in GFConnect so your no's show accurately. The books looks good, and fabric is a bit of icing on the cake! I signed up to follow your blog through e-mail subscription (feedburner). Thanks for the opportunity to learn more about you through stashmanicure. Please enter me into your great giveaway. Thanks for the chance to win Vikki. I love the generosity of bloggers.. I've been waaaay behind on all my favorite blogs. I am playing catch up this week and hope to be up and running with the best of ya soon. Ooooh, exciting. I will have my fingers crossed for your giveaway. I have a honeybun and jelly roll waiting for the right project. I am now a follower.....I think. I read your blog just about every day & I love it! Thanks for the chance to win. I don't know why I wasn't a follower before but I am now. Will be able to keep in touch now. What fabulous give away prizes. It's an absolute pleasure to follow you, sweet Vikki. Thanks for the wonderful giveaway. Just discovered your blog and love your designs! Can't wait to see what else you are up to! I've been head down and bum up studying and nearly missed this post.Congratulations on being a guest writer on Stash Manicure :) Barb. Well you know I'm a follower he he :o)!!! And I'd just love to be in the draw sweet Vikki!!! I'm not an official follower of your blog, but I always come and visit when you do a new post as you are on my bloglist in my sidebar. Hope that counts! It's always nice to pop in for a visit!